A Golden Retriever is considered a senior around 8 years of age. They become less active and are therefore quite susceptible to obesity. It is important to feed them a low-calorie food as it helps to maintain an ideal weight and thus put less pressure on the joints. 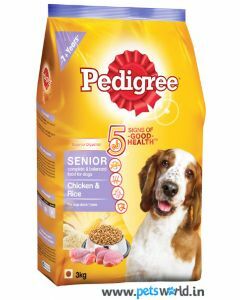 At PetsWorld, you will find healthy and natural foods for keeping your elderly Golden Retriever in excellent shape. 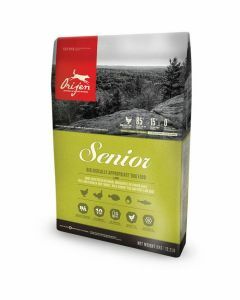 If you are looking for a biologically appropriate food that has a low glycemic index that prevents diabetes and obesity in your senior Golden Retrievers, we have Orijen Senior Food that is easily the best diet for senior dogs. 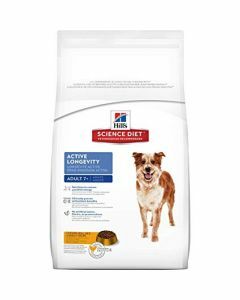 This diet contains high-quality animal protein from different sources, maintaining strong and lean muscles. It also helps in repairing the damaged tissues in the elderly canines. It is effective in controlling weight as it has a low carb content. 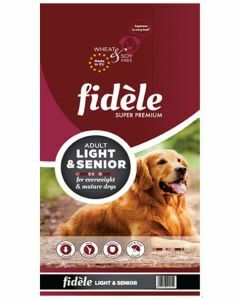 A diet like Fidele Light and Senior Adult Dog Food consists of highly digestible protein supporting easy assimilation of nutrients and also have L-Carnitine which burns the excess fat deposits in the body. Senior Golden Retrievers will benefit a lot from this diet as it contains Glucosamine and Chondroitin which relieves the pain produced in bones and joints.